Loved by Diana, goddess of the north”. The three Celtic deities best known from classical sources are Teutates, Esus, and Taranis. Teutates is identified with Mars or Mercury, and receives as human sacrifice drowned captives and fallen warriors. Esus too is identified with Mercury, but also with Mars, and he accepts as sacrifice prisoners who are hanged on trees and then dismembered. 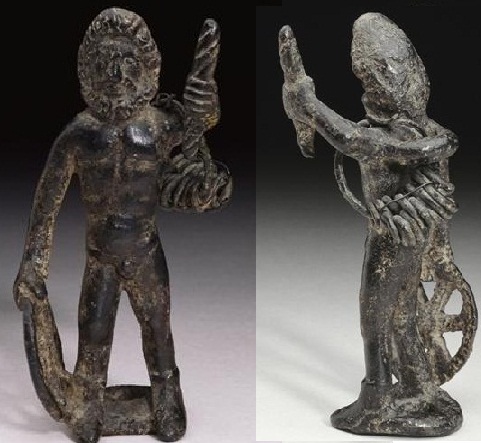 The Celtic ‘Thunder-God’ – Taranis, who is also known from nine inscriptions found in Italy, Germany, Hungary, Croatia, France and Belgium, and figures as the character of Taran in the Cymric (Welsh) Mabinogi of Branwen ferch Llŷr, is identified with Jupiter, as a warlord and a sky god. Human sacrifices to Taranis were made by burning prisoners (Mac Congail/Krusseva 2010). Noteworthy is the fact that the main Celtic God, Lugh/Lugus, is not mentioned by Lucanus (op cit), leading to the suggestion of Rübekeil (2003:38), in view of his hypothesis of a Celtic origin of the Germanic god Odin, that Lugus refers to the trinity Teutates-Esus-Taranis considered as a single god (Rübekeil L. Wodan und andere forschungsgeschichtliche Leichen: exhumiert, Beiträge zur Namenforschung 38 (2003), 25–42). Based on writings in the ninth century comment on Lucan, the Berne Scholia, and descriptions in Caesar’s De Bello Gallica, Taranis has been identified as the deity to whom both Julius Caesar and Strabo describe human sacrifices being offered by being burnt alive in ‘wicker men’. The Berne Scholia also describes Taranis as a ‘master of war’, and links him with the Roman deity Jupiter. Taranis’ name is derived from the Proto-Celtic root *torano- ‘thunder’ [Noun] (GOlD: Olr. torann – ‘thunder, noise’ W: MW taran [f] ‘(peal of) thunder, thunderclap’, BRET: OBret. taran gl. tonitru, MoBret. taran [m] CO: OCo. taran gl. tonitruum, MCo. taran). 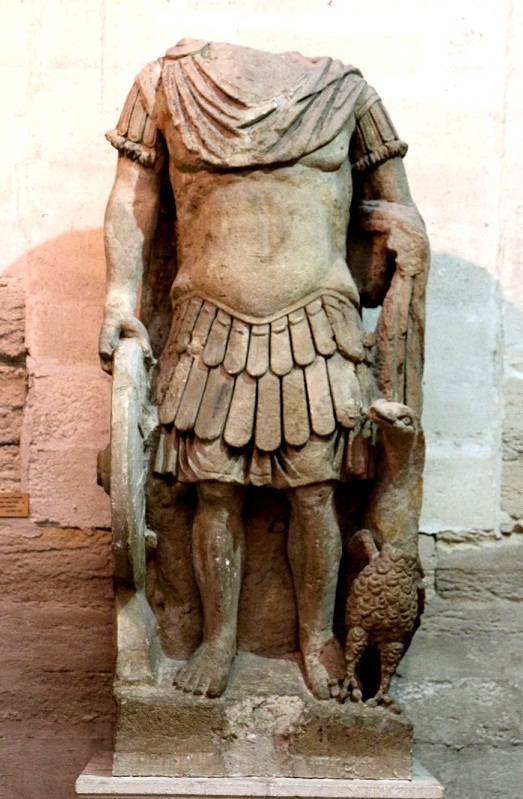 Jupiter Taranis – Roman era statue of Taranis syncretised with Jupiter, with eagle and solar/Taranis wheel (attributes of the respective deities) in the Musée lapidaire d’Avignon. The Gaulish word for ‘thunder’ is preserved in the Gasconian dialect of French (taram). The Celtic forms are best explained by a metathesis *tonaro- > *torano-. The unmetathesized form is perhaps attested as the OBrit. Theonym Tanaro and in the old name of the river Po, Tanarus ‘thundering’. (REF: LEIA T-l13, GPC III: 3447, Delamarre 290, Deshayes 2003: 714; See Matasovic R., Etymological Dictionary of Proto-Celtic. Leinen/Boston 2009. P. 384, with relevant lit.). 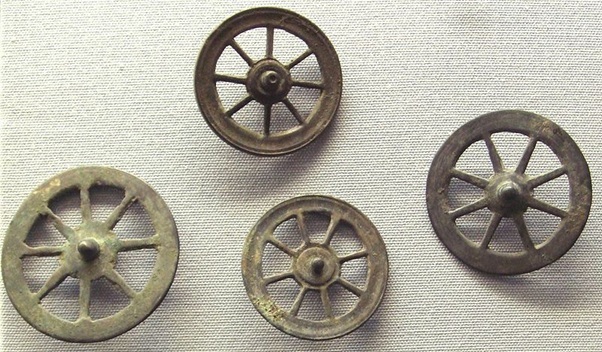 8-spoked votive wheels (rouelles / bronze), thought to correspond to the cult of Taranis. 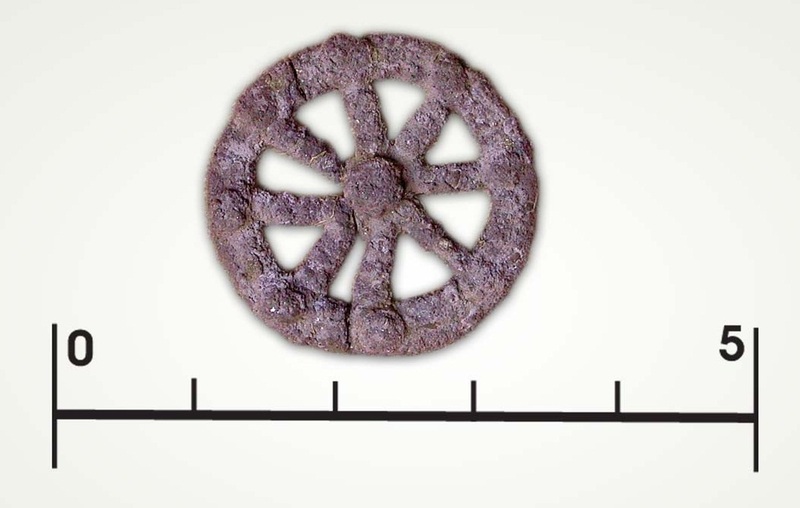 Thousands of such wheels have been found in sanctuaries and other sites across Celtic Europe. AR Quinarius. Helmeted head of Roma left / horse prancing left, Wheel of Taranis below. 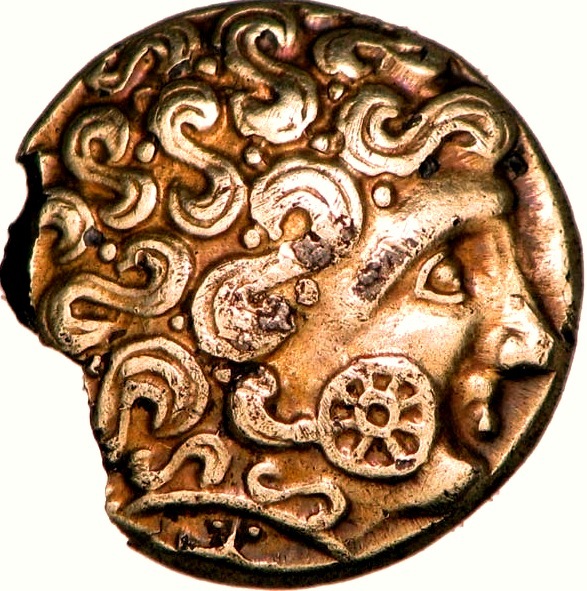 Reverse of a Balkan Celtic tetradrachm from central Bulgaria. Note the solar/Taranis wheel in the top left corner. Belgic Gaul, Treviri AV Stater. ca. 60–30/25 BC. Celticized horse rearing left, in upper field star, V with dotted border, & cross with four annulets between arms, pellet-cross under belly, star under tail; Wheel of Taranis, two stars & globule in front, above a row of pellets, herringbone pattern, solid line above which three stars. 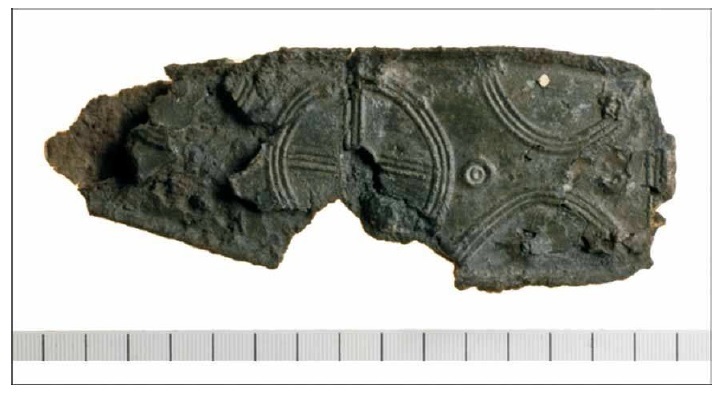 In southeastern Europe a range of Celtic artifacts have also been found which depict the Wheel of Taranis. 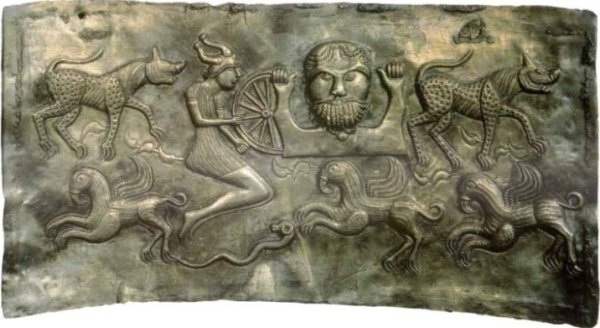 The Celtic deity holding the solar wheel is represented, for example, on Plate C of the Gundestrup Cauldron thought to have been produced by the Thraco-Celtic Scordisci tribes in northwestern Bulgaria in the late 2nd c. BC. 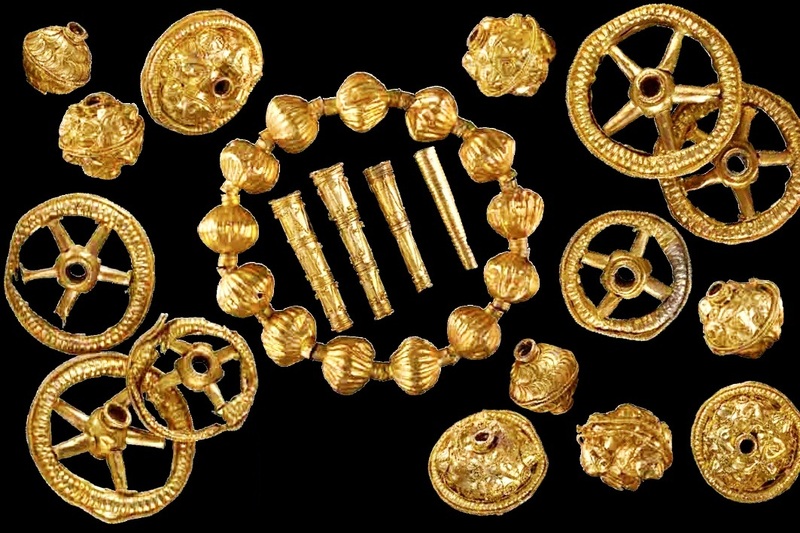 Artifacts depicting the Wheel of Taranis in this region range from Celtic coins dating from the 3rd c. BC onwards, to Romano-Celtic artifacts from the same region dating to the 3rd/4th c. AD. In the 20’s of the 2nd c. BC the Scordisci tribe in Thrace came under attack from the north. An expansion of the Germanic Cimbri tribe was finally repulsed near the Celtic settlement of Singidunum (Belgrade), and the Cimbri migrated further west (Rankin D. Celts and the Classical World. New York 1987:19 ). It is likely that it was during these events that the most famous of Scordisci treasures, the Gundestrup cauldron, was looted and carried off by the Cimbri (Bergquist A.K., Taylor T.F. The Origin of the Gundestrup Cauldron, Antiquity, vol. 61, 1987. 10-24). 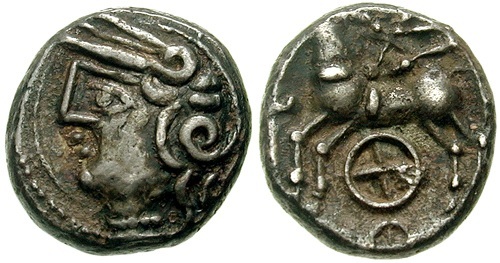 Celtic tetradrachms from the Ribnjacka Hoard (Bjelovar, Croatia) – 2nd / 1st c. BC. 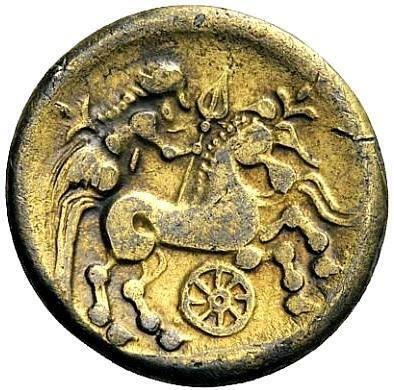 Note the Wheel of Taranis in front of the horseman on the reverse. 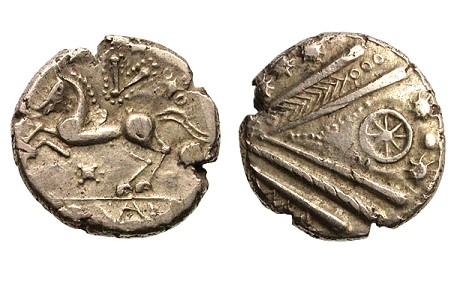 A large number of tetradrachms found in this hoard bore the symbol of the Taranis Wheel (Nos. 45 – 64). 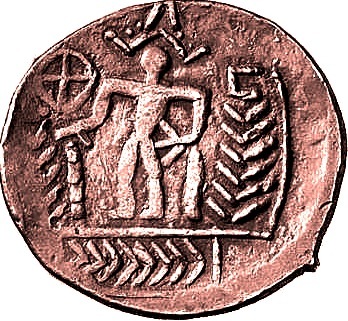 Evidence for the worship of Taranis across Europe, and the depiction of the Solar Wheel associated with this Celtic deity on coins and other artifacts, is particularly important as it again illustrates that although regional differences existed between the pan-Celtic peoples in terms of material culture, certain core religious beliefs and iconography were shared, and remained constant despite temporal and geographic dispersion. I have found a similar wheel in my garden to those above – has anyone got any idea how I can identify it for sure? Depends on a number of things – size, material and your location. Did u find anything else in that area? location was Hertfordshire UK – nothing else found in location but it could have come in in some top soil I had delivered the year previously. The item is some sort of metal approx 4.5 cm wide and the gap in the circumference looks deliberate – rather than broken. I thought at first it was a wheel of a childs toy? but there is no axle or anything that looks like it might attach to something else. A mystery? Sounds like a votive wheel. But without an archaeological context it’s impossible to be sure. 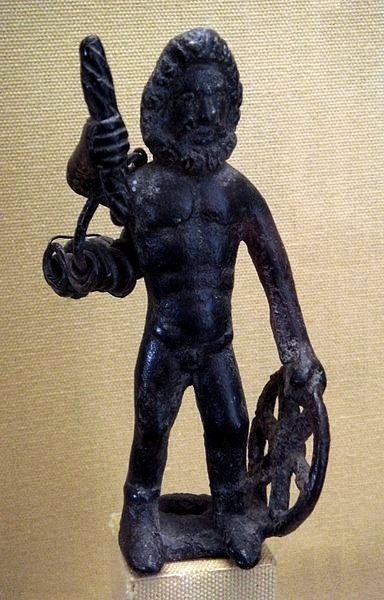 The Jupiter/’Taranis’ statue from Le Chatelet could also be interpreted as a man holding a chariot wheel, axle and harness buckles… now, where’s that horse? Linguistically, it is worth adding that ‘Taran’ was a name for an unbaptized spirit in Gaelic Scotland. Interesting. It appears that many of the Celtic deities survived in corrupted forms in the insular realm, transformed during the christian period into ‘evil’ entities. We should probably take Greek and Roman sources on Celtic religion with a huge pinch of salt. Personally I believe many answers may be found in their coins, which have been substantially neglected as a source of information on their beliefs and deities. 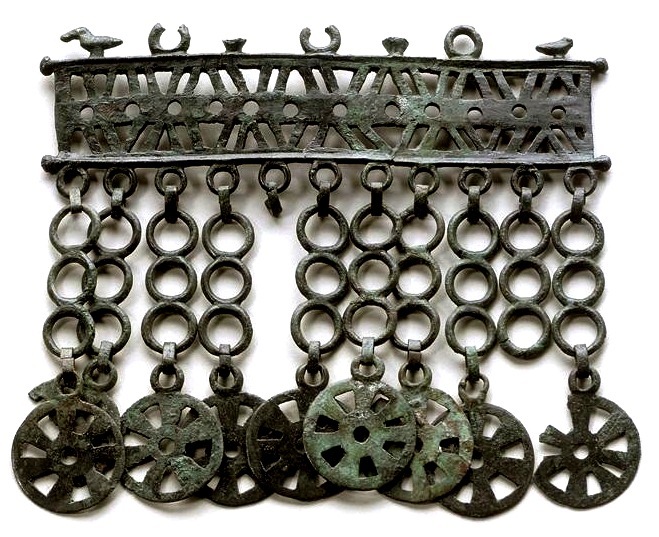 What really interests me is the influence of the religious culture of the northern/central European Bronze Age civilisations upon the development of traditions such as Orphism in ancient Greece, via Thrace. 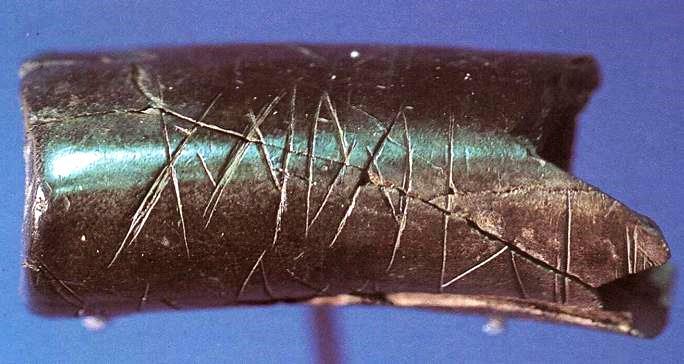 ‘Celtic’ material culture of the Iron Age was surely a version of this dominated by a superadded warrior/warband culture which became highly mobile and broadly influential from the 5thC/4thC BCE. I gather that there is still some cognitive dissonance between the cultural identifiers ‘celtic’ and ‘slavic’ – a bit like the breaks between ‘celtic’ and ‘germanic’. It’s a shame – but nice to see that people like you are working on describing the underlying metaculture! alley on the same radial course as the cursus. Little hillocks, or tumeri, are sprinkled about the perimeter. Has anyone else noticed this? It is very much like the Belgic Gaul coin above, but instead of the wheel has the two concentric rings with alley piercing them.